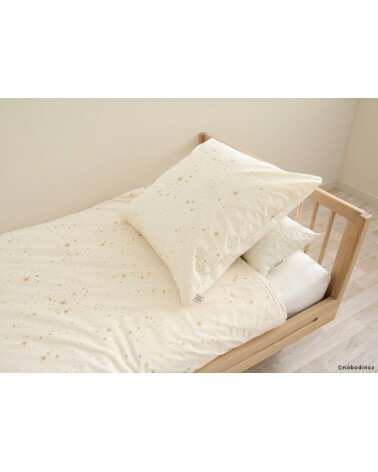 Himalaya duvet cover gold stella/natural. 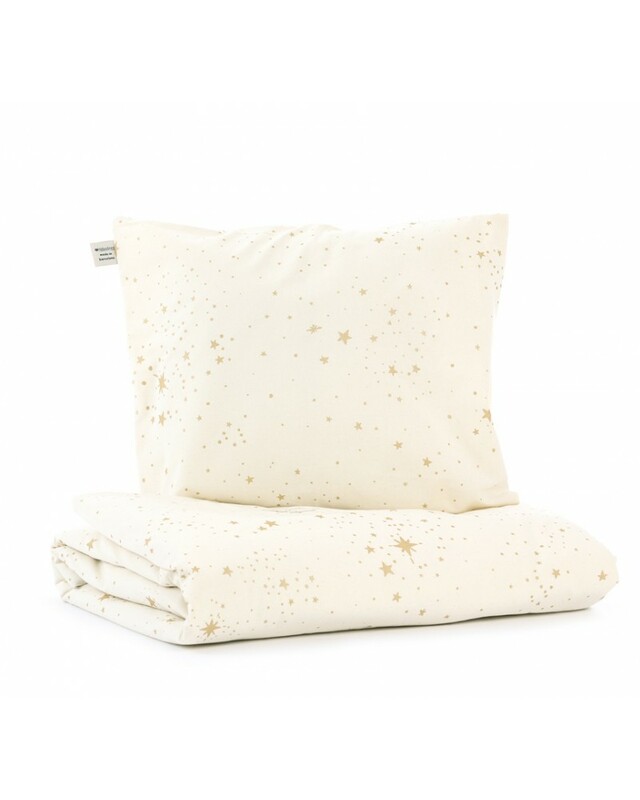 Your kid won't want to get up in the weekend mornings! 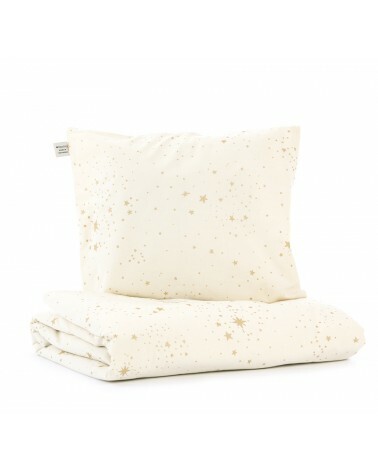 The softness and comfort of our 100% organic Himalaya duvet cover guarantees many hours of sleep!. Two sides: stylish prints and soothing colors! Extra soft touch. Pillow case included. Washing instructions: Gentle cycle 30º max. do not bleach, do not soak, do not scrub, do not spin dry, iron on reverse.